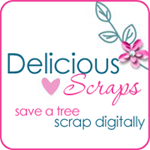 Delicious Scraps: Free Commercial Use Leafy Shapes and Spring Cleaning Sale!!! Free Commercial Use Leafy Shapes and Spring Cleaning Sale!!! I am cleaning out old product from my shop at http://Delicious Scrap Shop.com 99 cent sale will continue throughout this week and also most of my Clearance (50 cent) items will be gone for good. Some kits (the ones that I like the colourschemes :) will be refurbished. Thanks So much!! Very cute! Thank you so much for this Freebie. I want to let you know that I posted a link to your blog in CBH Digital Scrapbooking Freebies, under the Page 1 post on Mar. 11, 2010. Thanks again.